Sandway Homes is the official name of the newly created Sefton Council owned housing development company. Last year councillors agreed in establishing a company to develop new housing across the borough. Sefton Council’s Cabinet has just approved the new company name and arrangements for its board of directors. The newly formed company is now moving forward with developing detailed designs and proposals for priority house build sites across the borough. Cllr Trish Hardy, Sefton Council’s Cabinet Member for Communities and Housing, said: “When we consulted on the 2030 Vision, ‘growing living and ageing well’ and ‘making Sefton a great place to live, work and play’ came through as two strategic outcomes that residents wished the council to prioritise and the establishment of the Housing Development Company is key to this. 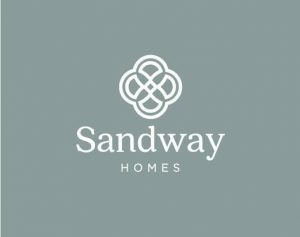 “We are delighted to be at the point of announcing the official name of Sandway Homes for our new housing development company. “The name Sandway is inspired by the unique 22 miles of coastline in Sefton and the logo mark is derived from the family crest for the Sefton Molyneux. A delegation from Great Yarmouth visited Sefton to see at first hand the excellent work taking place in the borough’s tourism sector. More than 35 people including staff and councillors from Great Yarmouth Borough Council and delegates from the private sector undertook a study visit to Southport. The main focus was to learn how Sefton works with the private sector, how Southport BID operates, Sefton’s success on putting on major events, destination marketing and how we secure external funding for large investment projects. During the visit the group had a guided tour of King’s Gardens, Southport Pier and The Atkinson and heard presentations from Sefton’s Tourism team and Southport BID. Cllr Dave Robinson, the Mayor of Sefton, also met the group. Cllr Marion Atkinson, Sefton Council’s Labour Cabinet Member for Regeneration and Skills, said: “We were delighted to welcome the delegation from Great Yarmouth to our wonderful borough and the amazing resort of Southport. 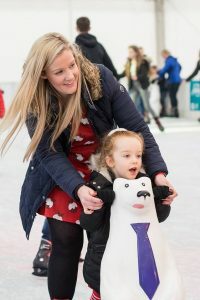 “Both Great Yarmouth and Southport have a number of similarities and uses the successful visit to share our expert knowledge, best practice and learning in the Tourism sector. 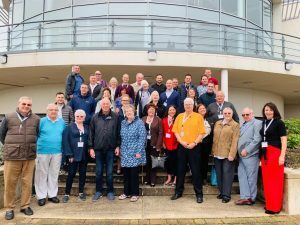 Karen Youngs, from Greater Yarmouth Tourism & Business Improvement Area (GYTABIA), said: “The trip was organised by the Greater Yarmouth BID with a total of 38 delegates from both the public and private sector of the borough of Great Yarmouth who stayed at the Ramada Plaza. “All the group paid for the visit out of their own pockets in order to gain an insight on how the resort of Southport manages their BID with the forthcoming 2nd term BID vote in 2019 and the general tourism offer. 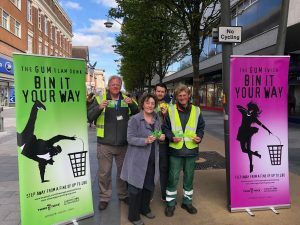 Businesses, residents and visitors to the borough were given something to chew over at the weekend as Sefton launched its ‘Gumbelievable’ campaign. 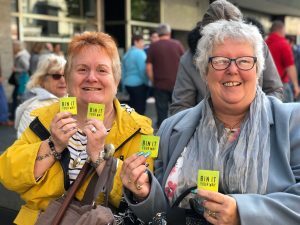 Launched on Chapel Street, Southport on Saturday, September 28, the local authority teamed up with the Chewing Gum Action Group to hand out special packs to gum lovers, in a bid to combat the amount of gum which is dropped on the street. The launch saw hundreds of packs being handed out to residents and tourists along the busy shopping street, as well as A3 chewing gum boards being erected for people to stick their used gum to. Huge banners warning people not to risk hefty fines have also been placed outside Sefton run leisure centres and beer mats have been handed out to businesses to further reiterate the gumbelievable message. Cllr Paulette Lappin, Sefton Council’s Cabinet Member for Regulation and Compliance, said: “It was great to see that we have the support of so many businesses and residents in our campaign. “Dropping gum, like any form of litter, is a disgusting and unsightly thing to do and you can be fined so we are making sure there is no reason to do it! “The packs we handed out contain dozens of disposable wrappers which gum lovers can carry around with them, or failing that, we placed ‘gum boards’ along Chapel Street for people to stick their used gum to. A recent court case involving counterfeit goods seized in Sefton was only ever going to end in one direction, thanks to the dedicated work of the local authority’s Trading Standards team. 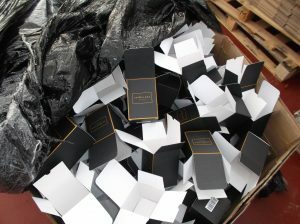 Sefton has welcomed the successful prosecution of a Formby man after he plead guilty to the manufacture and possession of counterfeit goods potentially worth around £1million. 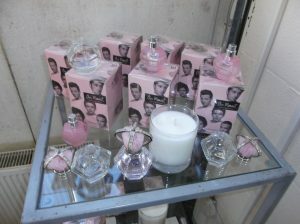 In 2016, Sefton Council’s Trading Standards team seized vast quantities of materials and packaging capable of producing approximately 2000 Jo Malone candles and 80,000 bottles for One Direction perfume, from an industrial premises in Formby. It was thought the goods were destined for car boot sales up and down the country in the lead up to Christmas. Christopher Costello, aged 48, was arrested in connection with the offences and pleaded guilty to four offences at Sefton Magistrates Court on September 17. He was sentenced to 9 weeks custody, to be suspended for 12 months, and has been made to carry out 100 hours unpaid work. He will also have to pay £715 in costs and victim surcharge. Cllr Paulette Lappin, Sefton Council’s Cabinet Member for Regulatory, Compliance and Corporate Services, said: “I am delighted at the outcome of this case and would like to thank our hard working Trading Standards team who have worked tirelessly from start to finish on this investigation. “Importantly, this not just about inferior quality merchandise but also about public safety and making sure that the products you purchase are safe. Anyone who suspects the manufacture or sale of counterfeit goods should call the Citizens Advice Consumer Service on 03454 04 05 06.